I have some bad news that unfortunately I won’t be posting here for a week or so, possibly longer until I know the outcome of a serious personal problem. So most of you know my wife is pregnant and unfortunately, my appointment at the Ultrasound department did not go well. We have been to the hospital three times this week to take further tests as it looks like my child has a 1 in 5 chance of Down Syndrome which is very high. 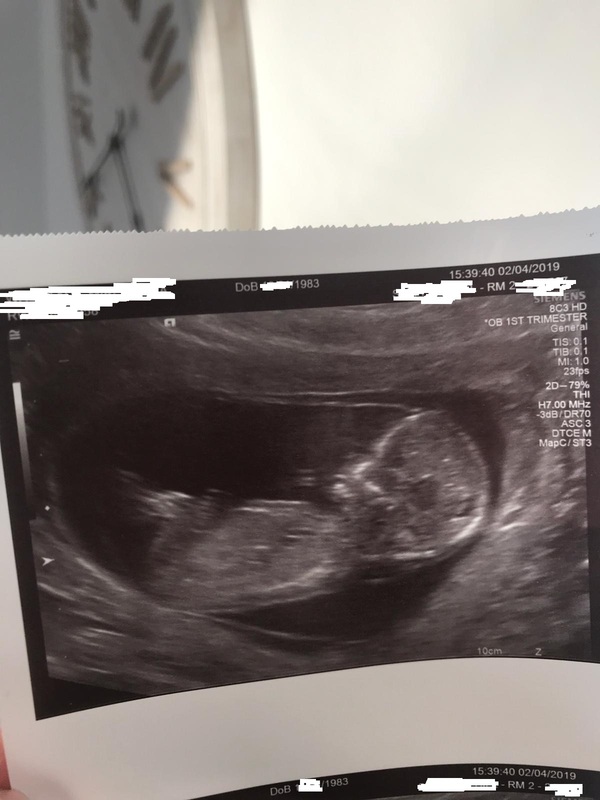 Below is a picture of my unborn baby, but found the amniotic fluid behind the neck indicates there is an underlying condition like DS and there is a 1 in 5 chance. I did have high hopes of becoming a father but it is looking less and less likely and I am currently taking a break from posting about my hobby here. The worst part is that my appointment at the Ultrasound department was at 3.15pm. It took them over 30 mins to get a decent measurement as shown by the time. It really does feel like Amityville has sealed my fate. Anyway, I hope to see you all soon in a better mood but I am expecting the worst. Really sad news to read. As I'm sure everyone on this forum will agree, all life is precious. I hope all goes well for you and your wife. I'm sorry to hear that. I truly hope everything works out for the best. Hoping for the best, I know how exactly how stressful prenatal test results are. 1 in 5 seems high, but still only 20%. Hang in there and don't obsess about 3:15 or anything Amityville. I woke up nearly every other night at around 3:15 when I was pregnant with my second kid, and he hasn't shown any signs of being cursed. I feel verry sorry for you. Did you think about a cell-free fetal DNA screening which is more reliable or an invasive test like Chorionic villus sampling. Anyway whatever you decide to do I hope everything works out for the best. Thanks guys, I am touched by your messages. But 3.15... it is weird right? It really feels like there's something watching and controlling our fate. When I read the Amityville Horror book when I was ten, I also woke up at that exact time. I guess I am forever cursed. I’m really sorry to hear this. We’ll pray that all will go well for you, your wife and the baby. My cousin has a child with Down Syndrome, he’s a lovely boy, a teenager already. Good news, the kid does not have any mental abnormalities. But we have to wait for week 20 to see if there are heart problems, I really hope not. But they are at least treatable. I think your good thoughts have made the positive changes needed. Sending good thoughts and wishes your way. I went through the same thing and it all ended up ok.
Its a boy and we decided to call him Sonny. This also ties in with the character from the 2nd movie.